Our top 5 do’s and don’ts of throwing a party for 1000 guests! Home » Blog » Our top 5 do’s and don’ts of throwing a party for 1000 guests! The number 1 biggest mistake to make is when a client looks for a venue where all 1000 guests can be held in one space. When asked why, they say ‘for atmosphere’ or ‘because the CEO wants to do a speech to everyone’. The problem here is you have a lot of people to entertain, all of whom have different interests. So why not offer a venue with a few different areas which offer different experiences. This ensures there is something for everyone. Think of it like a mini festival and offer guests a chance to explore. 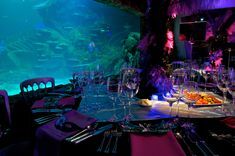 Here at Madame Tussauds London, we often turn our Hollywood themed space ‘A-list party’ into a penthouse style nightclub with lounge DJ’s and soft seating areas. The more classic ‘Film’ area can be turned into a cocktail lounge for those who want to just chat. Down in the famous ‘World Stage’ Ballroom, we recommend a show stopping band such as Bellissima via Sternberg Clarke for those who really want to dance the night away. This is a must for Christmas parties; CEO’s like to thank everyone for their hard work and also like to mention the financial results for the year. Little do they realise at the Christmas Party no-one really wants to listen, they just want to party. Get them to send round an email during the day with the stats (people will pay more attention) and if they really want to speak at the event, get them to say a quick thanks before the entertainment starts. 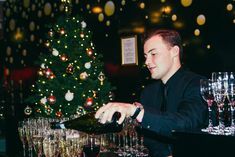 Often overlooked at events, the cloakroom facility is the first ‘service point’ of the evening and can be frustrating for guests when the queue is large. You need a large cloakroom facility with at least eight cloakroom hostesses/hosts (maybe more for winter!). After staff – contact Jane at Image. She has a great team who have worked with us for over ten years. Here’s a great video of an event we did for 1000 people at Madame Tussauds. This blog was written by Emma Greenfield on 15th October 2014.